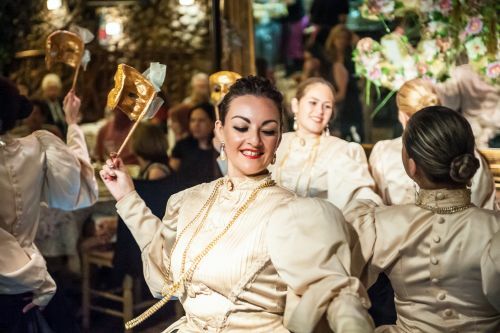 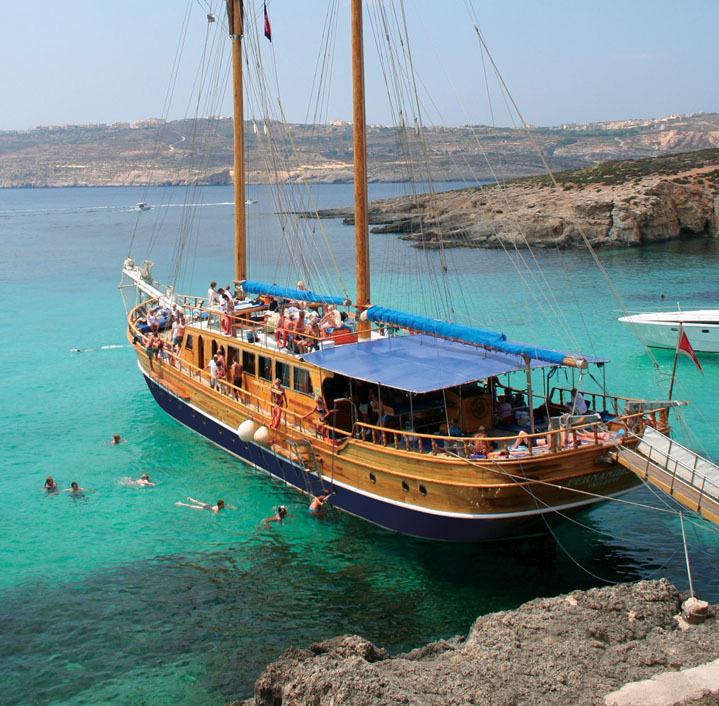 On board the vessel, a 23-meter motorised sailing yacht, you will experience the beauty of the three Maltese islands with their picturesque bays and coastlines, while enjoying regional delicacies. 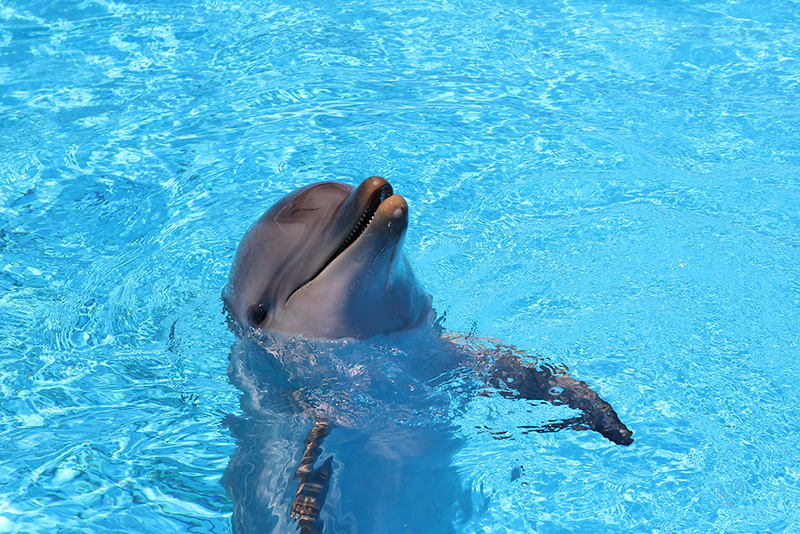 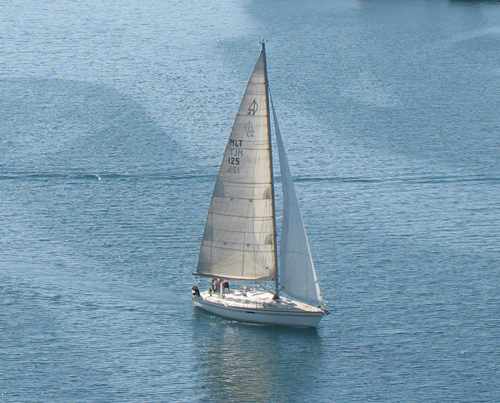 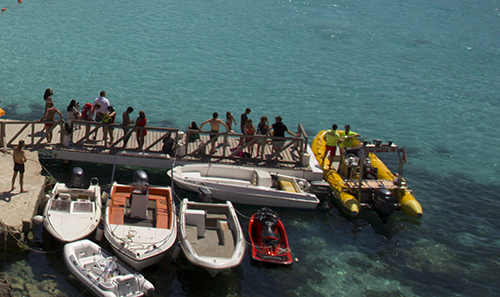 You will also anchor in various bays, where you´ll be able to take a relaxing swim. 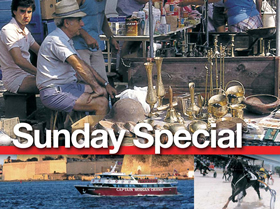 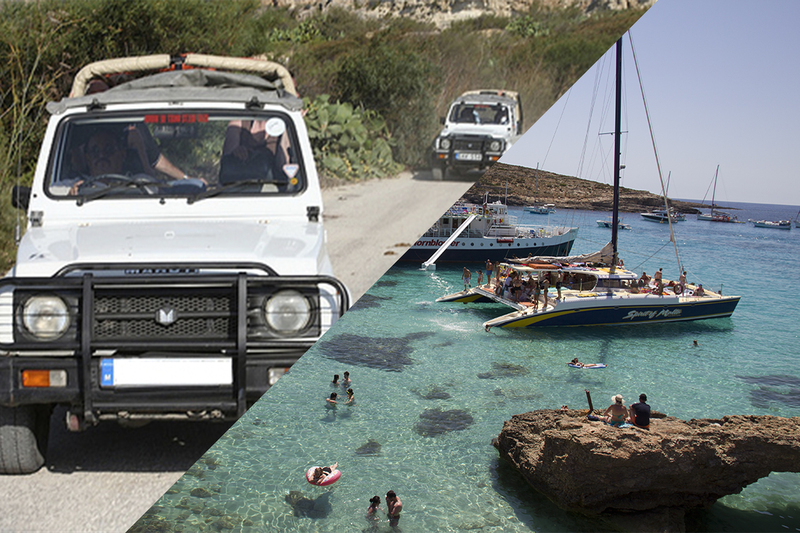 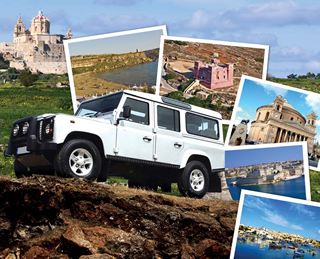 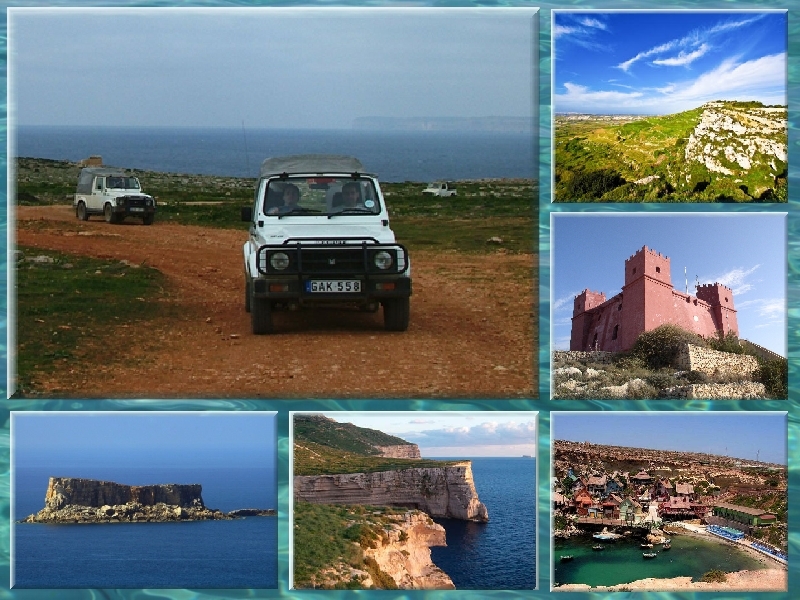 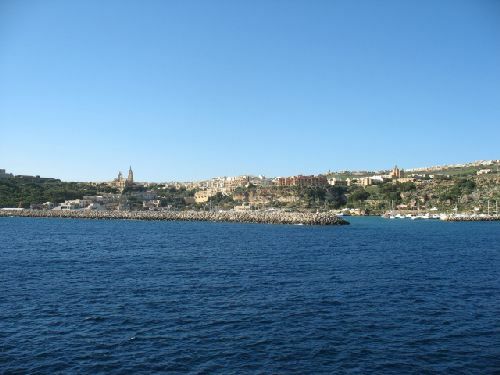 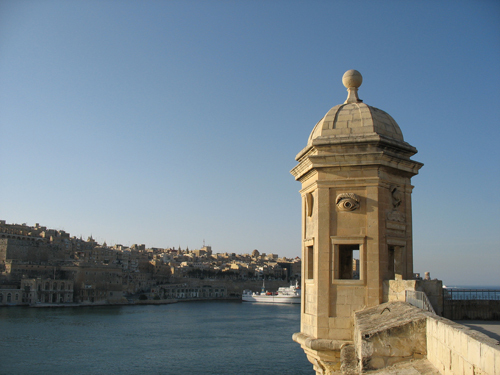 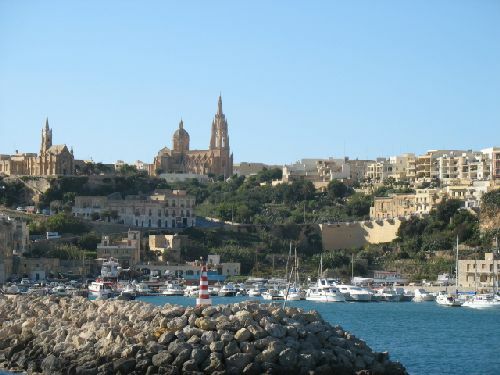 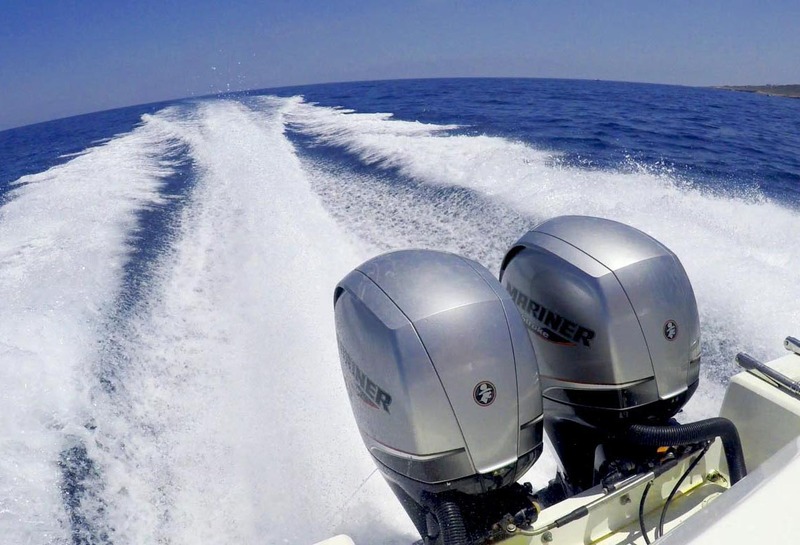 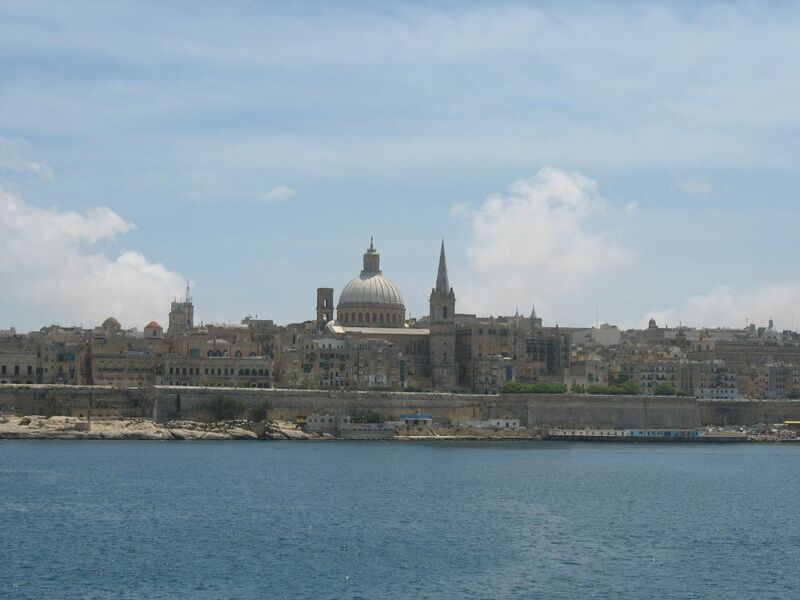 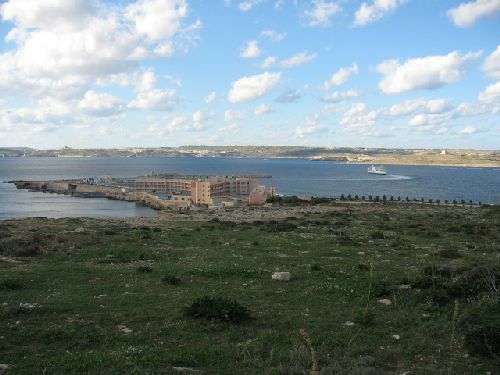 This full-day adventure starts at the Mgarr Harbour in Gozo, from where you will sail first to Marfa Point in Malta. 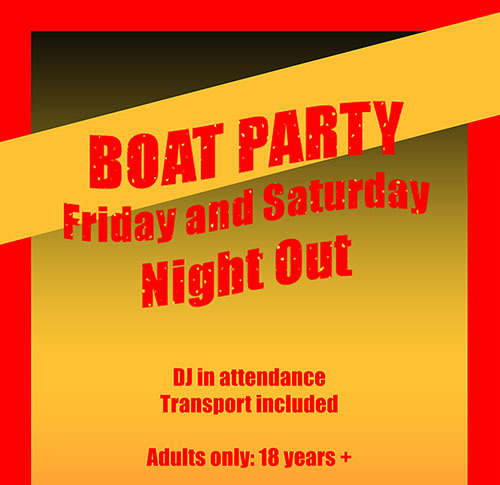 Guests may board at either location. 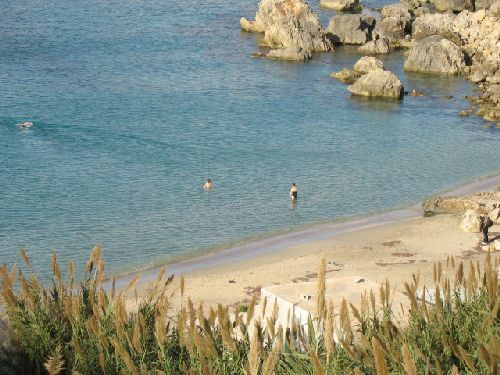 Thereafter the tour continues to Paradise Bay, where you will have your first chance to refresh yourself in the crystal clear Mediterranean Sea. 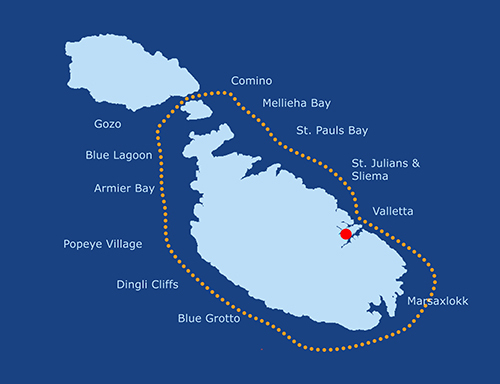 The next stop is Anchor Bay, where the well-known Popeye Village is located. 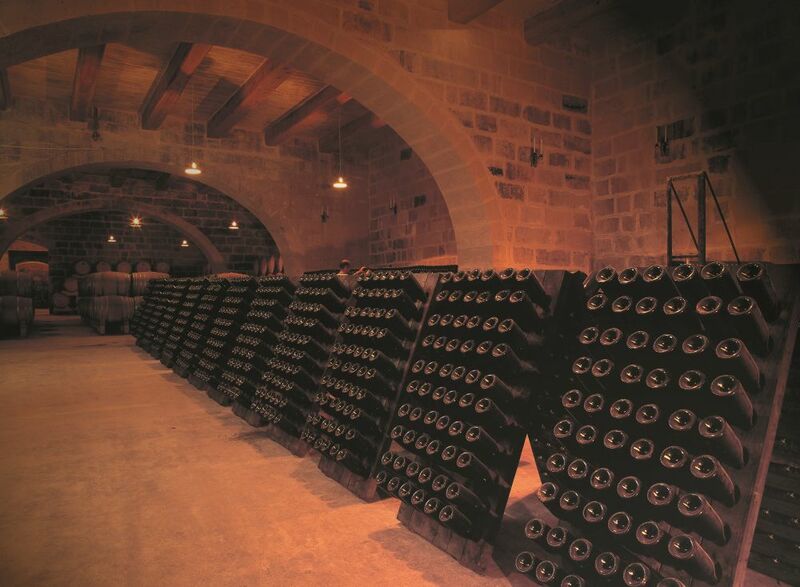 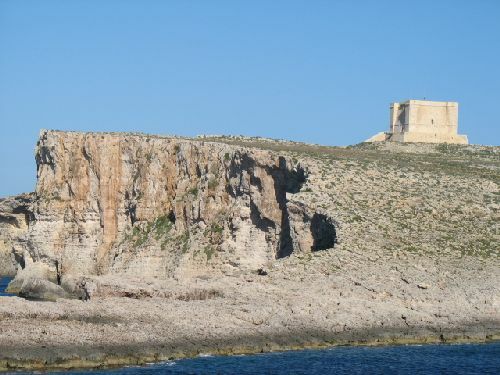 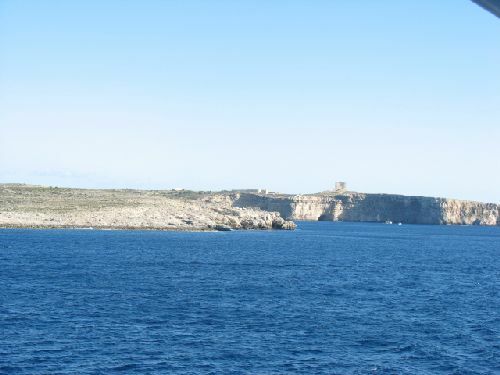 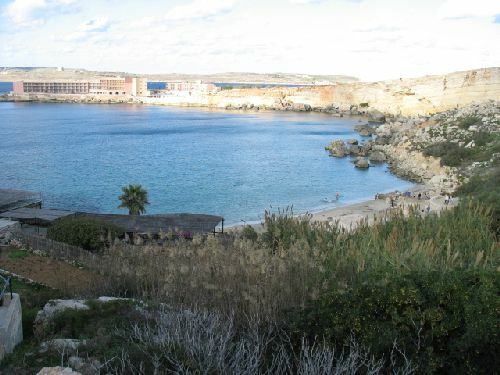 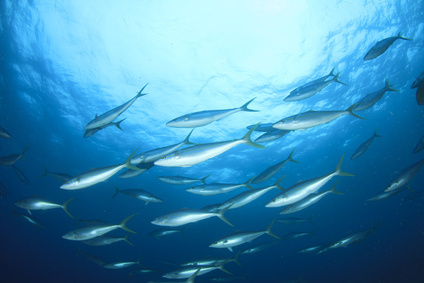 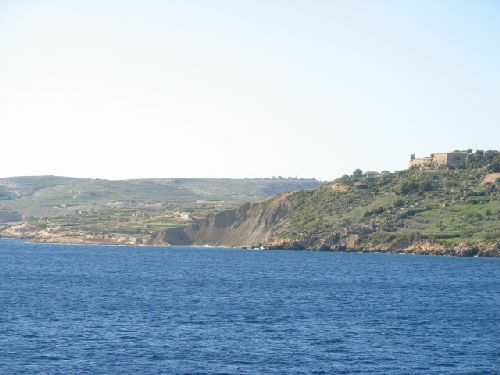 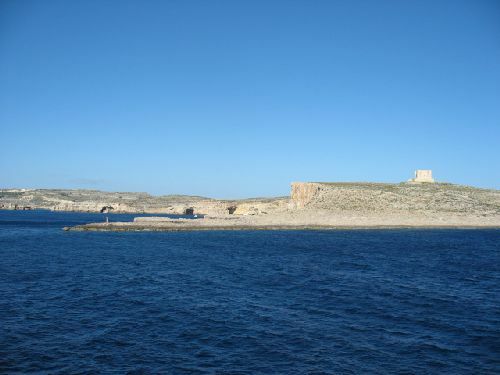 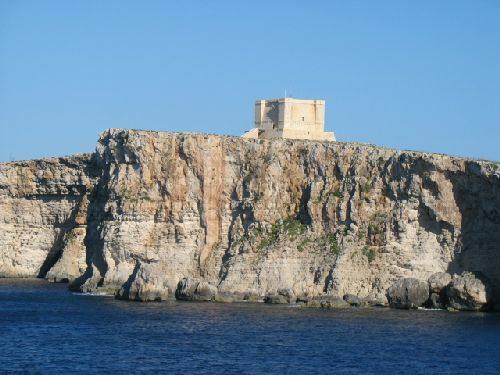 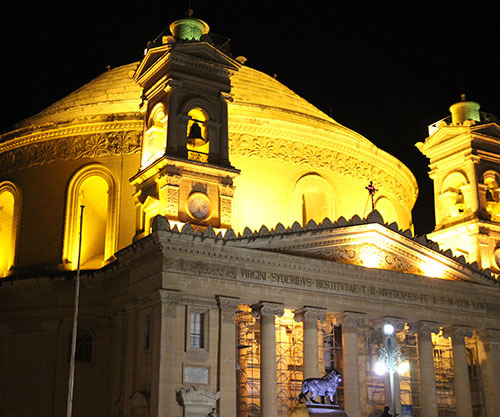 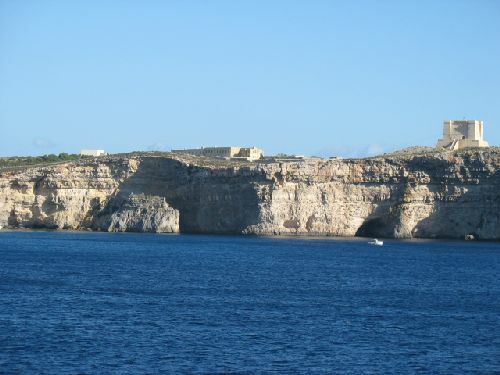 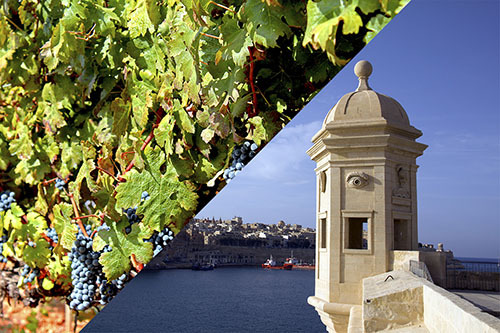 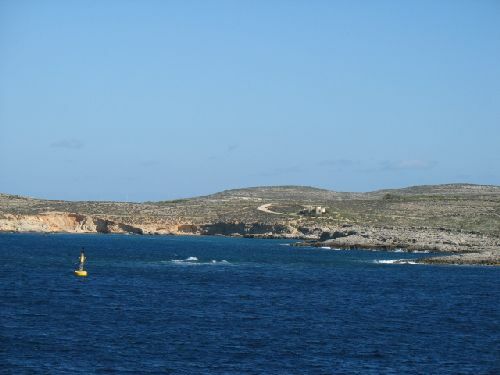 From the sea, you can take pictures of it from a completely new perspective, while enjoying cheese and wine from Gozo. 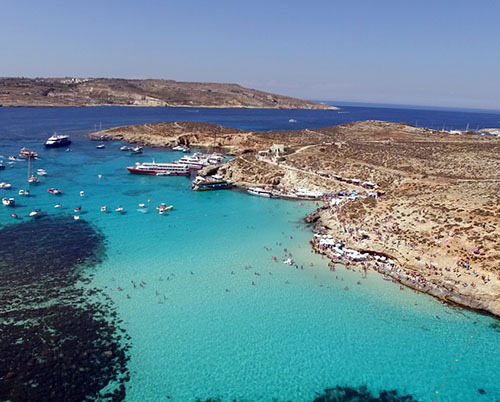 Sunbathe on the spacious deck or lend the crew a hand and help them sail the ship to the Crystal Lagoon on the island of Comino – another opportunity for you to jump into the cool water. Against the backdrop of the marvellous steep coast, the crew will serve you a delicious lunch that includes water and wine. 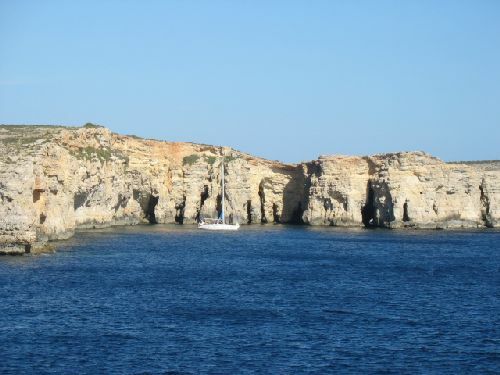 If you are interested, you may also explore the lagoon´s caves. 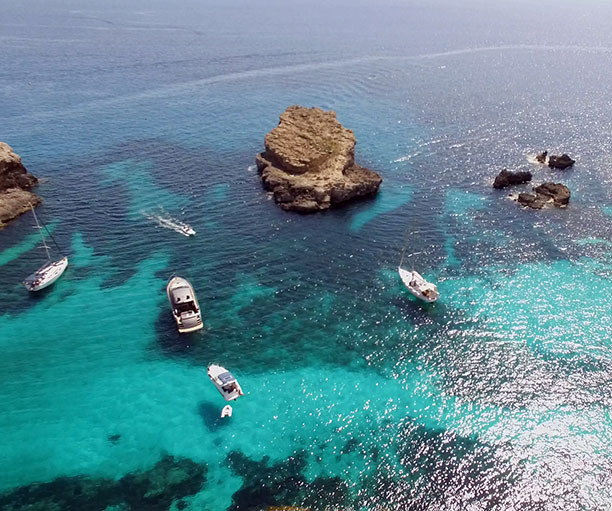 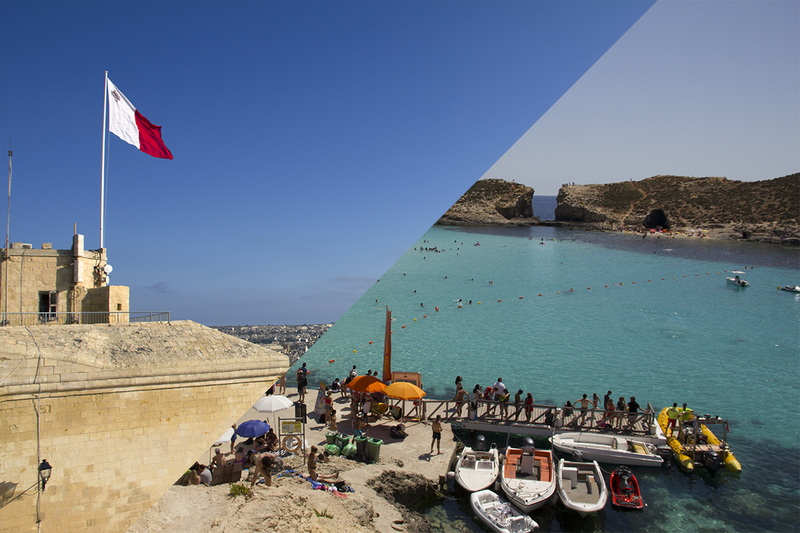 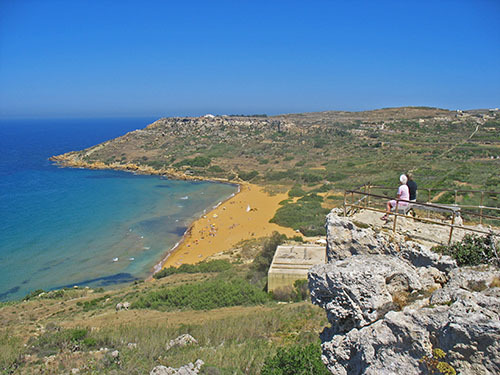 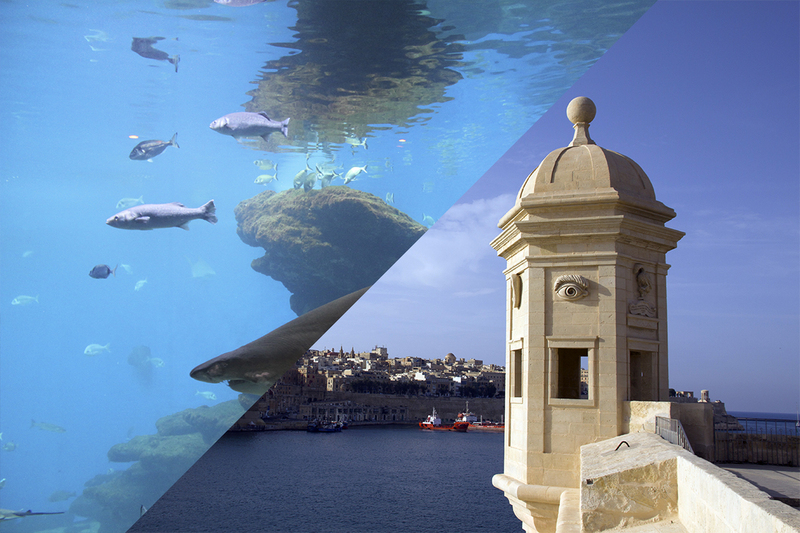 Invigorated, you will continue towards Gozo and sail past the idyllic Mgarr Harbour – a unique perspective for photos – and then stop at the famous Blue Lagoon. 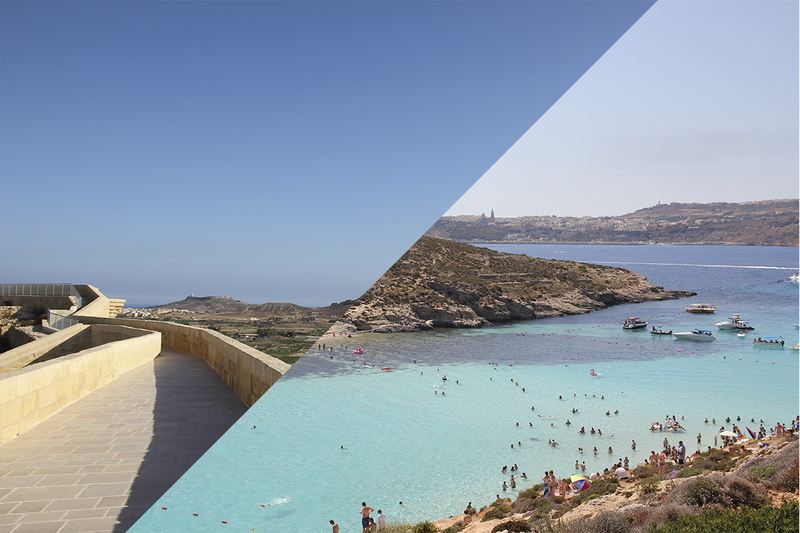 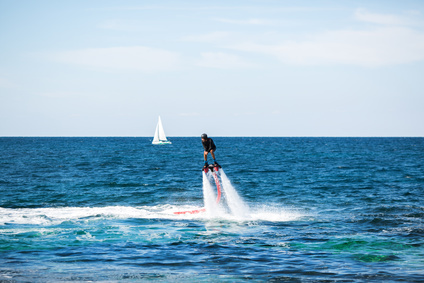 There you can swim and snorkel in the deep blue water or participate in one of the water activities offered at the lagoon. 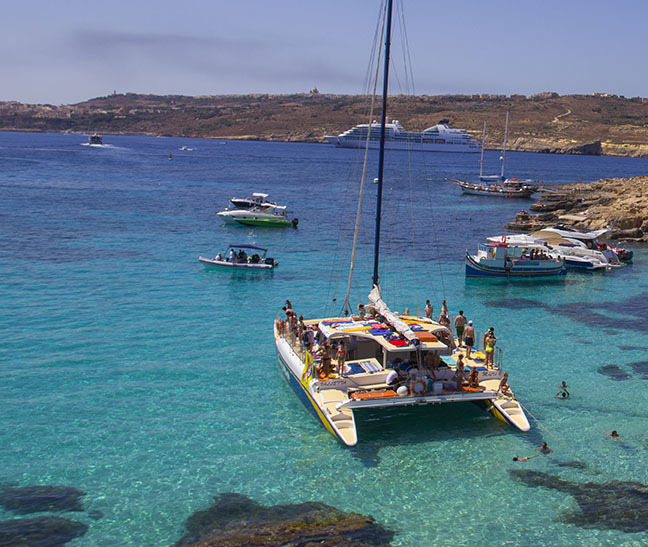 Afterwards, you will sail around the small island of Comino, the only one of the three islands that will be completely circumnavigated on this trip. 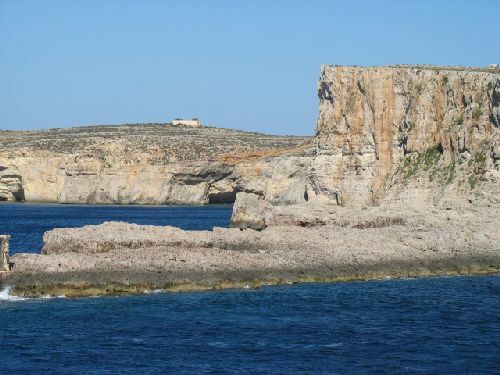 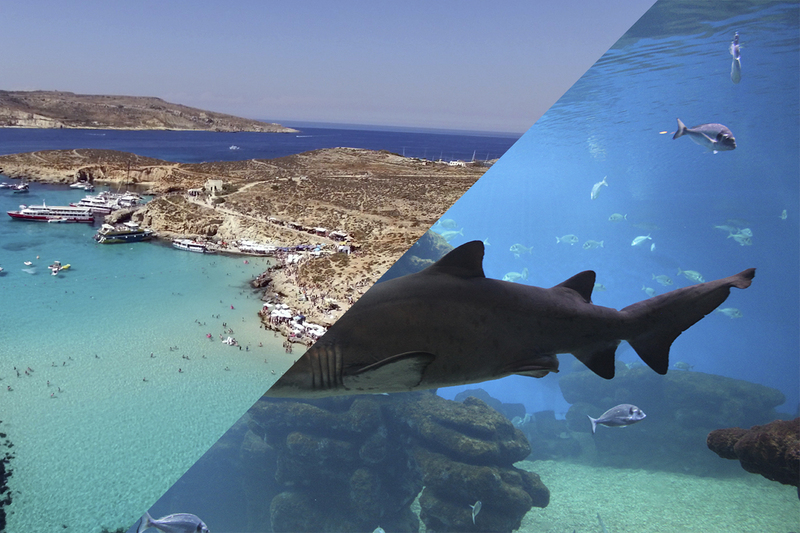 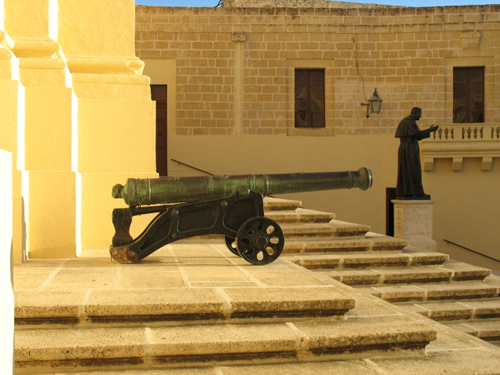 You will be captivated by charming bays such as St. Nicholas Bay and Santa Maria Bay, caves and other natural highlights before the tour ends in Marfa or Mgarr Harbour, respectively. 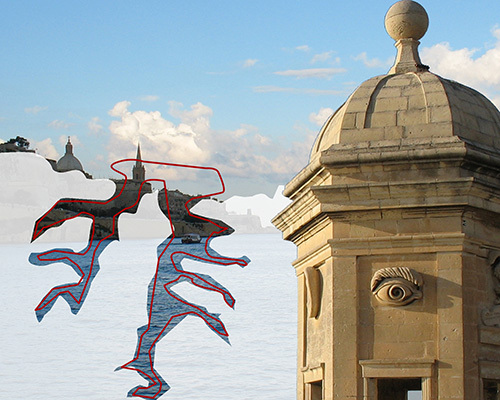 This tour is subject to weather conditions. 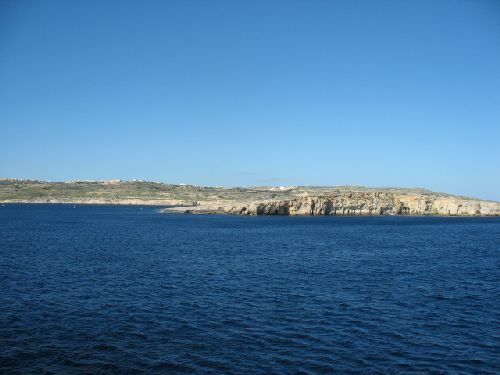 The ship will leave Mgarr Harbour in Gozo at 9:30 am and Marfa Point in Malta at 10:30 am and return to Malta and Gozo at 4:30 and 5:00 pm, respectively. 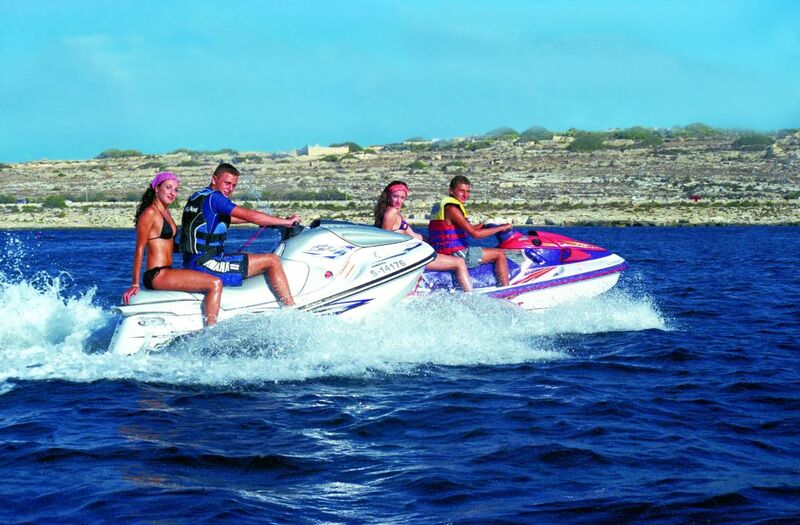 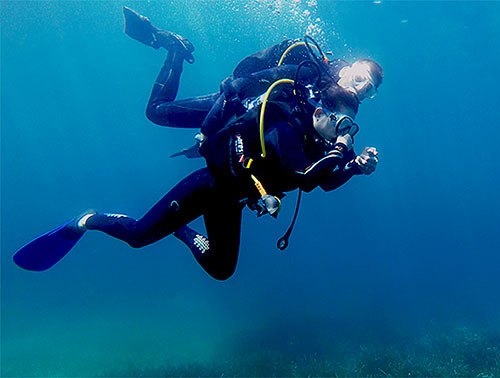 Any equipment needed for snorkelling can be hired free of charge on board. 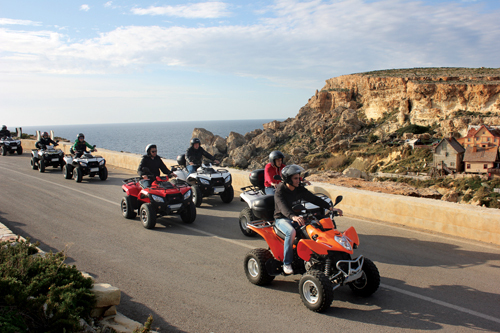 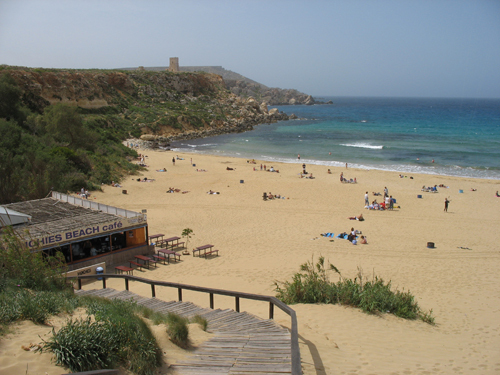 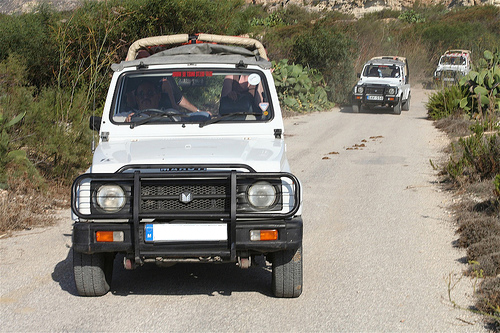 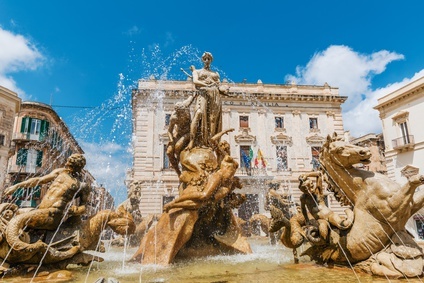 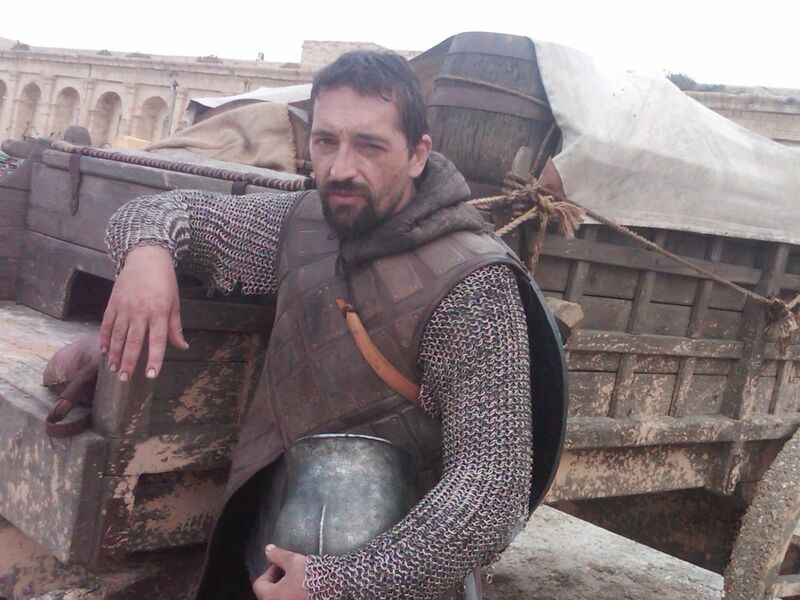 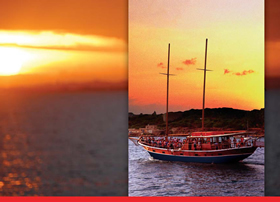 This excursion is particularly suitable for families with small children, as the company offers a discounted price. 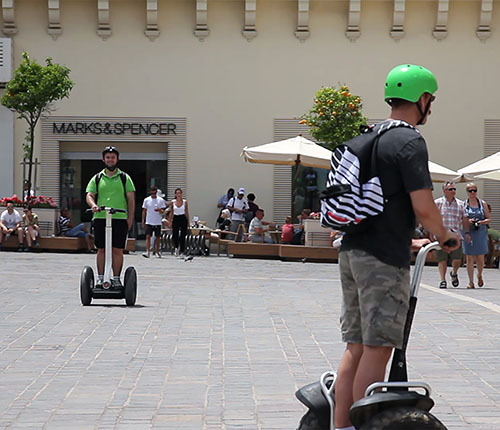 Any activities offered at the various stops are not included in the price and have to be paid for separately to the respective operators.